Are you looking for a fancy swimwear for your child? Look no further. 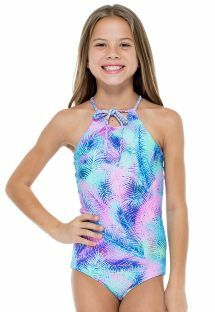 Brazilianbikinishop.com offers a wide range of swimsuits for 0-6 year olds, including bikinis, one pieces and shorts. 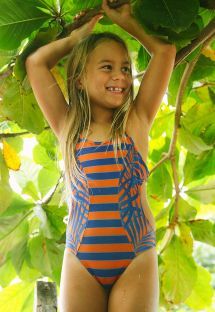 Because children can afford to be bold, all of our swimsuits are creative, original and a feast for the eyes. 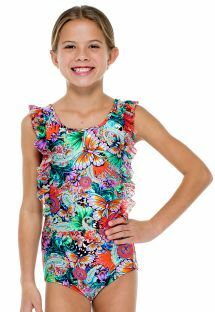 Bright colors, unique patterns and playful motifs are the features that distinguish our models from all other kids swimsuits. Moreover, every single piece is manufactured to the highest standards and made from top quality materials, as to ensure maximum comfort, which is very important as all children love playing, running and swimming, especially the most hyperactive ones. Will your children be totally irresistable in their swimsuits this year? 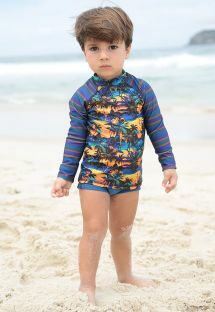 Your children want to be as stylish on the beach as the little Brazilians? 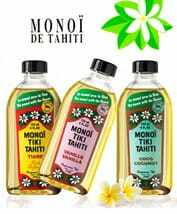 Let them discover Requinho swimsuits! This children's brand takes its inspiration from the major trends and adapts them perfectly for your little ones. They'll be spoilt for choice between the very latest mix and match prints and those which are more graphic and fun. Whatever design they choose, they'll be unbearably cute by the water’s edge in a swimsuit that's full of colour and fun!